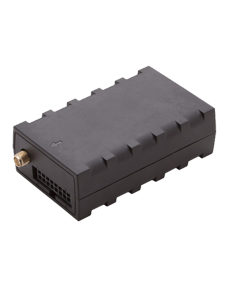 KittWay is a powerful GPS tracker/locator; it is practical and very accurate, designed for professional use, could be permanently connected to the vehicle (car, truck or work machine) battery. Like all our GPS instruments, KittWay generates tracks containing routes, timetables, speeds, and directions. Equipped with an internal battery which allows regular working even disconnected from the vehicle, cloud also work without internal battery, if connected to vehicle battery only, allowing its use in very hot areas, being able to support temperatures up to +80 Celsius degrees. The KittWay can send alerts for many different situations, such as the exit from virtual fences or the exiting from a speed range, the ignition power on and power off or the disconnection of the device from the vehicle. An useful anti-theft function can be activated simply with a key press from a mobile phone app: this utility immediately alerts the owner, with an automated phone call, if the vehicle moves from the last known position. 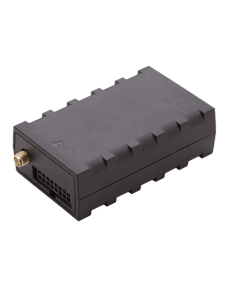 In case of connecting multiple devices to a single control unit, the special MyWakes "Radar" service allows simultaneous real-time coordination and control of many vehicles. The KittWay is also able to handle different accessories such as, for example, the temperature sensors (ideal for the management of vehicles equipped with refrigerator), fuel level ultrasonic sensors not invasive and easy to install in few minutes under each fuel tank. The KittWay is designed to communicate with most of Garmin navigators. This allows the operation's center to send destinations and routes to each individual device so that the driver will find all routes to follow directly on his device. Through the Garmin integrated messaging system the control center will be able to communicate directly with the drivers without interfering on driving. Among the accessories that you can connect to KittWay you can find also the camera that sends images on demand from the cabin to the control center, the driver's authentication kit that will prevent the vehicle engine to power on if the driver is not recognized and, finally, the handsfree kit which also includes the environmental microphone that sends to the control center the cabin live audio if alarm button is pressed. 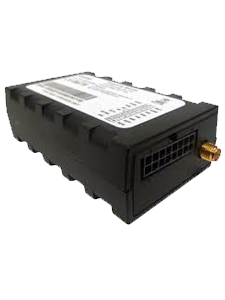 Another device may also be connected to our KittWay: the CANBUS reader that is able to get all the data that passes through any vehicle's electronics BUS. Months of service. The service can be chosen with a track update every 2 minutes or in push mode. Usually, map update happens every two minutes, showing the last positions sent from devices. Push mode allows users, who are watching vehicles moving on the map, to see the new positions as soon as they are sent to MyWakes. In this case, MyWakes server receives the location from the device and then notifies immediately the new coordinates to the browser that updates his map instantly.